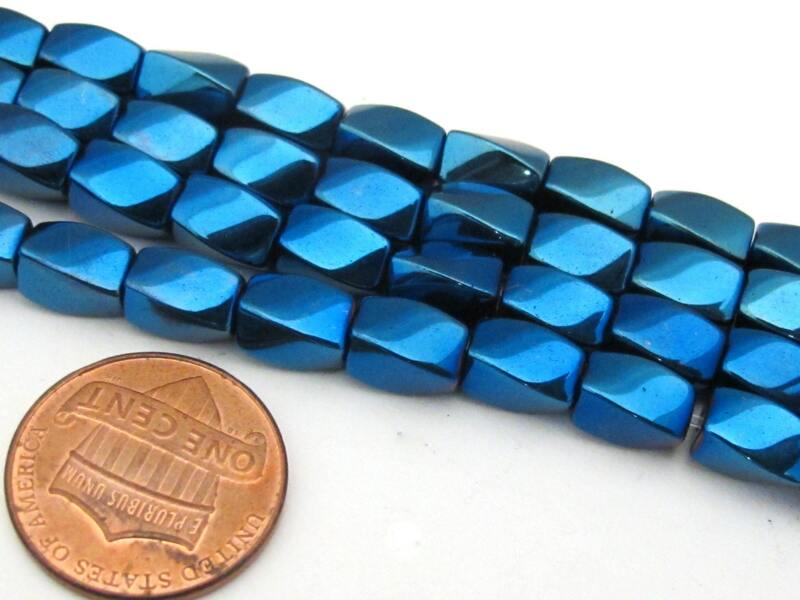 This listing is for 50 loose magnetic hematite beads. 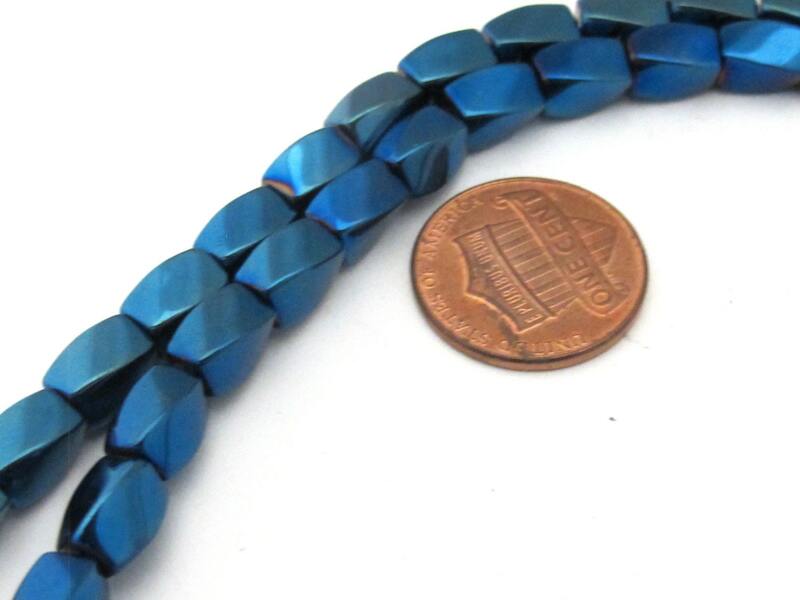 Titanium Blue color plated. 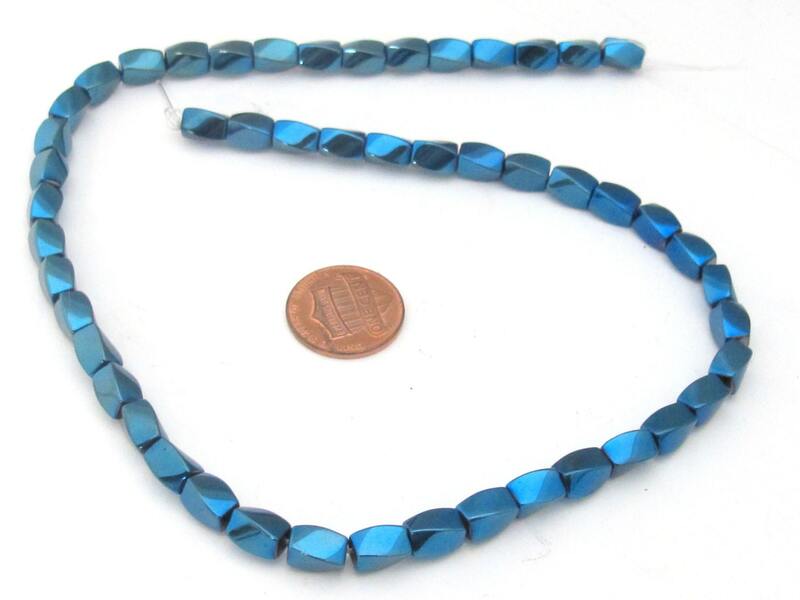 Size - approx 8 mm long x 5 mm thick.